So you’re looking to hop aboard the endless hype train that is the wireless headphone market. Where better to start than at the entry-level? It’s a great idea to scout out the terrain, to find out if the wireless form factor fits well into your circumstances before jumping right in at the ~$500 price point. And you may be surprised by just how well some of these lower-end models can actually perform compared to your stock earbuds. Even just the fact of being without a wire is itself a luxury. No more untangling cables before use; no more snagging your earbuds out of your ear on a stranger’s bag. It’s a new dawn, it’s a new day, and you’re ready to take the plunge. One of the most comfortable affordable headphones out there. Decent frame which makes these easy to work with daily. Good complement of drivers with plenty of range. Impressive battery life which offers 40 hours of operation. These are definitely bulkier than most. Finding something that works on a budget can be quite challenging. 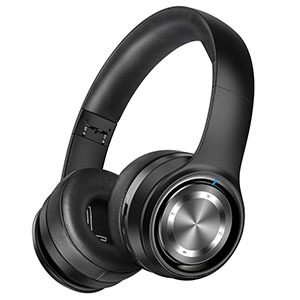 However, with models such as Tribit XFree Tune Bluetooth Headphones things tend to be much easier. The whole idea behind these headphones was to offer something that was competitive, affordable and overall good looking. In order to deliver that, a few corners had to be cut in certain places. What really makes the XFree a special pair is the frame. It is padded quite nicely, offering plenty of comfort no matter what. The hardware is rather interesting as well. The complement of drivers seems to be quite capable while the built in battery offers up to 40 hours of use. With only needing 4 hours to recharge, that’s impressive. Great design which works out well for the money. Good selection of both hardware and features. 12 hours of battery life makes these competitive. Noise canceling mic allows for clear communication. Fairly heavy set of headphones which may induce fatigue. Zhicity is another lesser known brand that is making ripples on the market with their affordable headphones. The model we are looking at today is neither the best nor the most interesting one they offer, but it is an absolute bang for the buck champion in this price range. Zhicity Active Noise Cancelling Bluetooth Headphone is definitely worth checking out. From a hardware and performance point of view, these offer a good compromise. The sound is up there with the rest of the segment. On top of that, you’re getting a noise canceling microphone, 12 hours of battery life and so much more. Best of all, the link between your device and the headphones is solid enough for remote use. 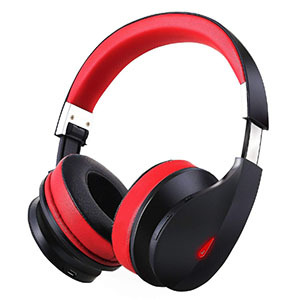 Lightweight set of headphones which reduces fatigue. Good performance and features for such a light set. Plenty of battery life for daily use. Great sound with good range. On ear design reduces any passive noise canceling. If you are after a cheap set of headphones but you insist on having something made by a fairly reputable brand, Skullcandy is your best bet. They are masters of designing affordable but functional headphones and earphones. 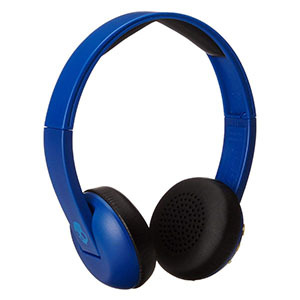 The model we chose for this list is the Skullcandy Uproar, and it’s easily one of the best choices out there for sure. A simple look at the Uproar will tell you exactly what brand you’re dealing with, and that has nothing to do with the logo. These are on ear headphones, which is perhaps the best layout for this segment. The comfort is on point and so is performance. With 10 hours of battery per charge, you’re looking at a true performer. A good combination of hardware and price. Good features including decent passive noise cancellation. Offers plenty of battery life per charge. Good overall sound with a decent range. Not the most appealing pair of cans out there. 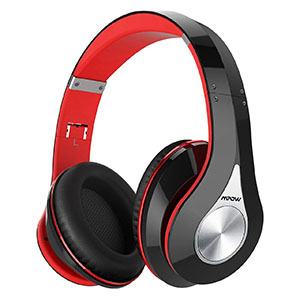 Mpow 059 Bluetooth Headphones are among the most popular models in the affordable segment. Even though this brand is not well known in the industry, this particular model has been building quite a following. The reasoning behind that is fairly simple. They have designed something that works, is comfortable and doesn’t cost much. You can’t ask for more than that. From a design point of view, 059 takes some getting used to. Especially if you go with some of the brighter colors. The performance aspect of the whole story is quite impressive. 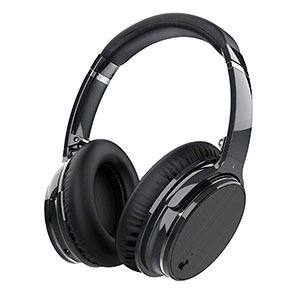 They have used good drivers, 20 hours worth of battery life and a good passive noise canceling technology. At the end of the day, it’s a good package. Overall interesting aesthetic which is quite attractive. Great set of hardware which includes 50mm drivers. Good sound quality with plenty of range. Extremely good bang for the buck value. The on ear design with actual ear pads. 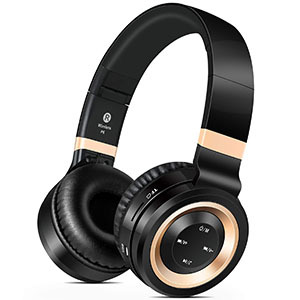 Moving on to another awesome model that comes from a lesser known brand, we run into Ausdom Wireless Bluetooth Headphones. These are actually on ear headphones, which makes them pretty interesting because they come with a standard set of ear pads. With that said, such design may not work for everyone and could cause some serious fatigue in different users. Design aside, Ausdom Wireless Bluetooth Headphones come with a decent set of hardware. For starters, these are packing a pair of 50mm drivers which is quite unusual. The battery will last you some 20 hours per charge. For a pair that is ridiculously affordable, you really can’t ask for more than that. On top of that, these come with cables. Compact design which is light and comfortable. One of the best looking headphones in this segment. A good selection of hardware makes these functional. A decent battery life makes them competitive. Faux leather can induce fatigue. Compared to the rest of its segment, Picun P26 is quite something. We are looking at a very attractive set of headphones which feel extremely stylish considering their price. They say that aesthetics don’t really matter, but that’s not the case. If you’re after something that looks good aside from actually performing quite decent, Picun P26 will do the trick. The padding on these is pretty good considering that these are on ear headphones. The pads feature that fake leather which can become unbearable after a while, although there’s plenty of air circulation going on. The sound and battery life are both more than satisfactory for the price. Picun P26 is a good choice for a cheap pair that works. A very attractive sleek design which is refreshing. Packs a good sound for the money. Good enough battery life makes these functional. Quick charging time keeps you topped off at all times. Passive noise cancellation isn't the best. 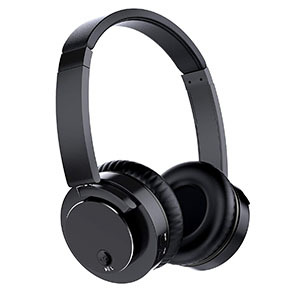 In a market where most brands are looking to ‘spice up’ their designs, it is quite refreshing to run into as simple as Pwow Bluetooth Headphones. These are so easy on the eyes but also quite functional. There are no flashy colors which scream at you, nor any useless plastic elements. Instead, you get a sleek black frame that’s functional. The proprietary 40mm drivers are pretty good at packing a lot of heat without costing too much. The battery will give you some 10 hours of up time per charge, which takes some 2.5 hours. Overall, those are not bad stats everything considered. Noise isolation is also present, although it is passive and not as effective as we’d like. A simple and functional design that simply works. Clear cut controls which are easy to reach. Features good battery life of 8 hours. Fast charging times mean brief downtime. Not the best sound in the segment. 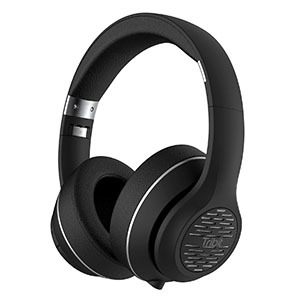 Last but not least we have the Sound Intone Bluetooth Headphones. Compared to most other models out there, these are quite stylish and functional. They feature a simple design which is proven to work, on top of that you get clear cut controls and decent amount of padding. From point of entry level headphones, that’s as good as it gets. The sound is not bad. It’s not going to be top of the line either, but you can expect satisfactory performance to say the least. The battery is pretty decent as well. One interesting aspect of these headphones is the built in mic, which has proven to be much better than expected. In other words, these are decent ‘daily drivers’. It’s going to sound a little stupid, but the best thing about entry-level wireless headphones is that they’re, you know, wireless. Stick with us on this one; there is a point here, we promise. Sure, you’re not going to end up with audio performance that will totally change your life and make you wonder how you ever lived without it, and you’re certainly not going to be blown away by the vast quantity of extras and perks thrown in with your purchase as you may be with higher-end models. But guess what: there are no wires. You can’t quite imagine how freeing this is until you’ve tried it. And, trust us, once you have, it’s extremely difficult to conceive of how you lived without it until now. The downsides to purchasing in this price bracket are fairly obvious and don’t take too much knowledge of the headphone market to understand. Basically, you’re going to get what you pay for. Whilst it’s true that the entry-level for wireless headphones has come a long way—particularly over the last two or three years—in terms of average quality and product lifespan, you still aren’t going to be getting the kind of quality which you would find for even a sub-$100 model. If you’re just looking to swap out your stock earbuds for a pair of wireless headphones, then you will, of course, reap the benefits of that decision at this price point. But you’ll have to step up to the next bracket if you really want to improve on things like audio quality and features rather than just step into the wireless future. Given that the majority of headphones at this price point are going to sound roughly as good as each other, we don’t recommend taking audio quality into account too heavily. That said, you will probably want to get your hands on some of your final choices once you’ve narrowed down your options so you can find out if the sound signature is right for you. But if you can’t it isn’t the end of the world. Instead, our recommendation is that you strongly prioritize battery life. Wireless headphones—and especially your first ever pair of wireless headphones—can come with something of a learning curve as far as managing battery goes. Even though many devices across all price points do offer a wired (or passive) listening mode, being caught out with a dead battery and no cable is a real shame. For that reason, make sure that you factor in things like your average commute, how long your working day lasts, and how frequently you’ll be able to (practically as well as theoretically) charge your device. If this is going to be your first foray into wireless headphones, you’re on the verge of taking one relatively small step for your wallet and a giant leap into the brave, new, tangle-free world. Wave goodbye to the pains of the past, and enjoy all of the benefits that The Future has to offer. At this price range, you’re able to get a sense of whether wireless is right for you. And if it is, you’ll forgive the fact that you’ve basically just switched out your earbuds for a pair of similar performance but, you know, without the wires. It’s worth it, believe us. You won’t look back.